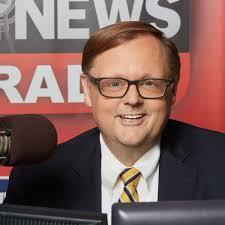 CLEVELAND, Ga. – The Faith and Freedom Celebration will be held Saturday (April 6) at 6:30 p.m. in the George Blaurock Student Center at Truett McConnell University with former Governor Mike Huckabee scheduled as keynote speaker and Fox News Channel’s Todd Starnes as master of ceremonies. Singer Jake Cowley will also perform. The program is part of TMU’s Empower the Call scholarship campaign. Prior to the program, a reception will be held from 4 p.m. until 5:15 p.m. with dinner and entertainment to follow. A book signing will be held from 8:15 p.m. until 8:45 p.m.
for 4 p.m. to 5:15 p.m.
For more information, on tickets and reservations, call 706-865-2134 ext. 3801. 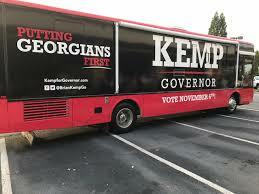 CLEVELAND, Ga. – Republican gubernatorial candidate Brian Kemp’s “Road to Victory” bus tour visited the campus of Truett McConnell University, a Christian liberal arts and sciences school in the foothills of the north Georgia mountains, Tuesday morning. Following morning chapel service led by Anthony George, senior associate pastor of First Baptist Church in Atlanta, in the beautiful George Blaurock Student Wellness Center, Kemp briefly addressed students and staff and delivered a message of faith and hope. Kemp said he was encouraged to see how many young people are interested in the campaign. Many government heavy-hitters at both the state and local level were on hand to show their support for Kemp, who will face Democrat Stacey Abrams and Libertarian Ted Metz in next Tuesday’s election. Other leaders who visited with Kemp included, Congressman Doug Collins, State Senator Steve Gooch and White County commissioners Travis Turner, Terry Goodger and Edwin Nix. CLEVELAND, Ga. – The Cleveland City Council unanimously approve a resolution in support of reducing the speed limit in front of Truett McConnell University (TMU) Monday. The resolution now goes to the White County Board of Commissioners and, if approved, Senator Steve Gooch will deliver the resolution to the Georgia Department of Transportation for final approval. TMU Director of Alumni Relations and Public Policy Dr. John Yarbrough addressed council, saying, “With our growth of property and students, we now have eight points of agress and egress within a quarter mile.” The reduction in speed from 45 to 35 mph, he said, would increase safety for students. Council voted unanimously to enter into an intergovernmental agreement (IGA) with the Board of Commissioners to accept the historic Oak Springs School and property from the county. The school, which was the first one in White County for black students, will be converted into a community center. “Due to the historic nature of the school, city council is very interested in preserving it,” said City Manager Tom O’Bryant. Council also approved the Georgia Municipal Association District Directors Ballot that includes Annie Sutton as second vice president and a request for City Clerk Connie Tracas to take an online course for accounting at a cost of $419. 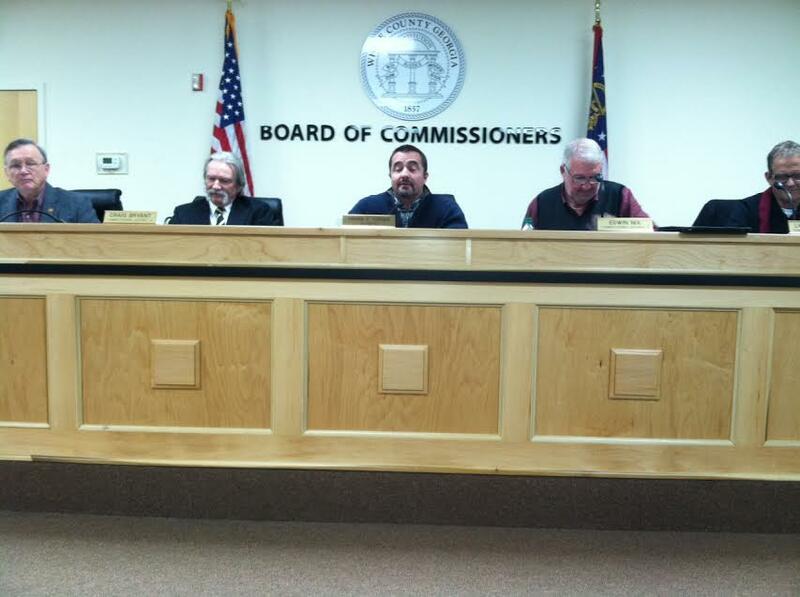 O’Bryant met with White County and city of Helen officials last week to negotiate an intergovernmental agreement with regard to a division of funds from a proposed 2020 special purpose local option sales (SPLOST) tax. In earlier SPLOSTs, the two cities each received about 20 percent of the revenue. Both, however, agreed to settle for 13 percent in the last two SPLOSTs to help fund the county jail. Now they want a return to the 20 percent level. O’Bryant said the city has identified a list of projects it would like to fund. Those projects would cost about $5.4 million and require about 20 percent of projected revenue. Any future SPLOST, however, must be approved by White County voters before it can be implemented. Council approved the purchase of a Dodge 1500 pickup truck from Jacky Jones Chrysler, Dodge, Jeep, Ram to replace a city-owned truck that had a blown engine. Funding for the vehicle will come from voter-approved SPLOST funds. Callie Armour, a White County Middle School student and 4-H member, told council about a project that her 4-H class is working on involving the building of a planter for the city square with plants and colorful plants. 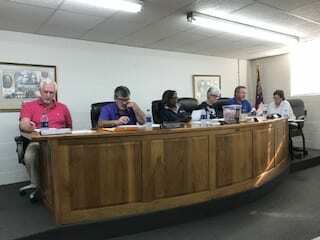 CLEVELAND Ga. – The White County Board of Commissioners will hold a combined work session and called meeting Monday (May 21) at 4:30 p.m. Aside from tomorrow’s meeting, however, there will be several changes in the meeting schedule over the next three weeks. County offices will be closed and there is no meeting scheduled May 28 in observance of Memorial Day. The June 4 meeting is also canceled. 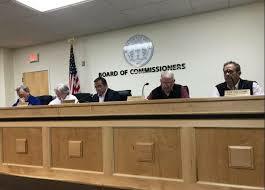 On June 11, commissioners will hold a budget public hearing and called meeting. Then, on June 18, there will be a called meeting to adopt the fiscal year 2018-’19 budget. Commissioners have a busy agenda to address at tomorrow’s meeting, including consideration of SPLOST-funded road improvements to be approved for bidding this spring. Appointments to the Department of Family and Children’ Services Board, Development Authority, Chamber of Commerce Board, Avita Community Partners Board of Directors and Industrial Building Authority. CLEVELAND, Ga. – A star-studded lineup will highlight the Faith and Freedom celebration Friday, April 20, in the George Blaurock Student Wellness Center at Truett McConnell University (TMU). 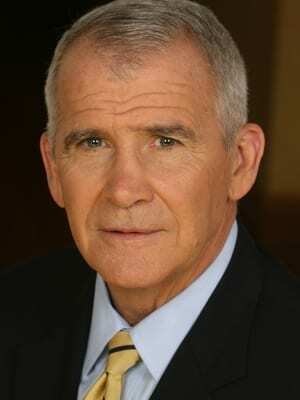 Doors will open for bleacher seating at 7 p.m.
Fox News Commentator Todd Starnes will be the host and decorated combat veteran and former deputy director of the National Security Council Lt. Col. Oliver North will be a featured guest. North served 22 years in the United States Marine Corps during the Vietnam War. He was awarded a Silver Star and Purple Heart for his service. 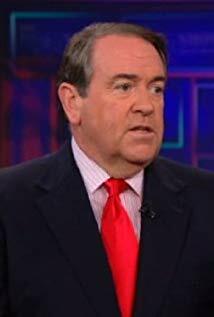 He is now a best-selling author and frequent guest commentator on Fox News. All proceeds from the event will fund the Empower the Call campaign, which provides assistance for student mission trips, creates retention scholarships, and reduces missionary student debt, allowing TMU alumni currently on the mission field to remain and continue sharing the gospel message. Event ticket options include: bleacher seating for $25 or table seating with dinner for $250. Dinner tables of eight are also available for $2,000, which includes a reception with North and Starnes. In addition to the program, all participants will have the opportunity to view a replica of the Tomb of the Unknown Soldier inside the Student Wellness Center. To purchase tickets or for more information, visit truett.edu/faithandfreedom or call the TMU office of Advancement at 706-865- 2134, ext. 3801. 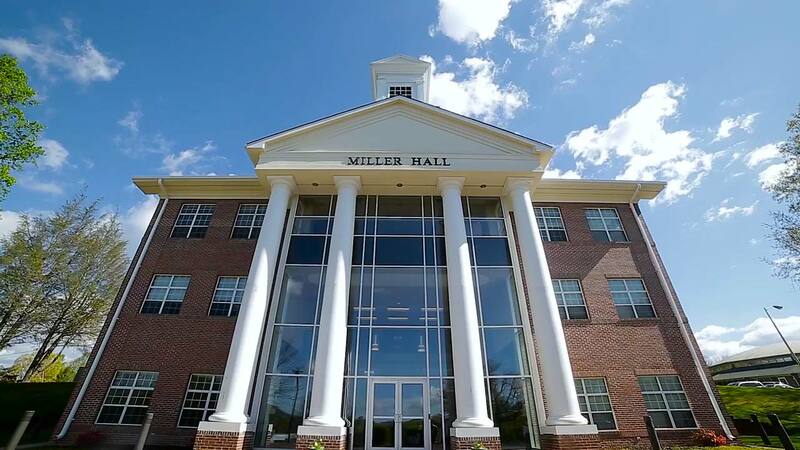 CLEVELAND, Ga. — Truett-McConnell University (TMU), a private, Christian, coeducational liberal arts college, has continued its expansion at an accelerated pace, thanks to a $3.7 million gift from the Mildred Ruth Brown estate. Approximately $1.7 million will be used to purchase two facilities at 529 Kytle Street and 49 Dixon Drive from the Cleveland Worship Center. TMU entered into a lease/purchase agreement to acquire the two facilities in 2016, but thanks to the Brown endowment, the school was able to complete the purchase a year earlier. The balance (approximately $2 million) will be set aside as the lead gift for the new Brown Hall Academic Building. The new academic facility will be approximately 30,000-square feet and will house classrooms, lecture halls, a psychology lab, offices, tutoring rooms and study carousels. TMU will officially begin fundraising efforts for the remaining portion of the $5 million Academic Building this summer. Additionally, TMU purchased two of the remaining Heritage Condominiums, which are contiguous to TMU property. “This latest purchase brings the purchase of the Heritage Condominiums to completion,” stated Dr. Emir Caner, president of the university. The Heritage Condominiums will now provide housing to 56 students, allowing for continued growth in both undergraduate and graduate student populations. The expansion of TMU facilities is a continuation of the growth pattern that has occurred over the past ten years, including an increase from 461 students to over 2,600 undergraduate, graduate, online and dual-enrollment students. In addition, the university now offers 30 bachelor degree programs and five graduate degrees in the areas of biology, counseling, education, business and theology. To learn more about degree programs at TMU or to support funding for the new Brown Hall Academic Building, visit truett.edu. PEACHTREE CITY, Ga. — Expected icy road conditions have led to more school closings today. White County School Superintendent Dr. Jeff Wilson announced Sunday that schools will be closed Monday, Jan. 8, for students and staff due to the Winter Weather Advisory and threat of freezing rain. School will be closed for students and staff. 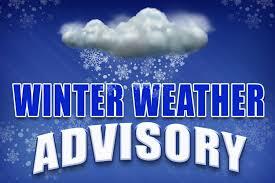 Lumpkin County schools will be closed Monday, Jan. 8, due to the threat of icy conditions. However, 12-month employees should report if it is safe to do so. Dawson County schools will also be closed. However, 12-month staff should report when conditions are safe to do so. Truett-McConnell University classes are delayed until 10 a.m. Monday. Watch for FYN updates throughout the day. CLEVELAND, Ga. – A tropical storm watch is in effect for most of north Georgia, including White County for the next 48 hours. 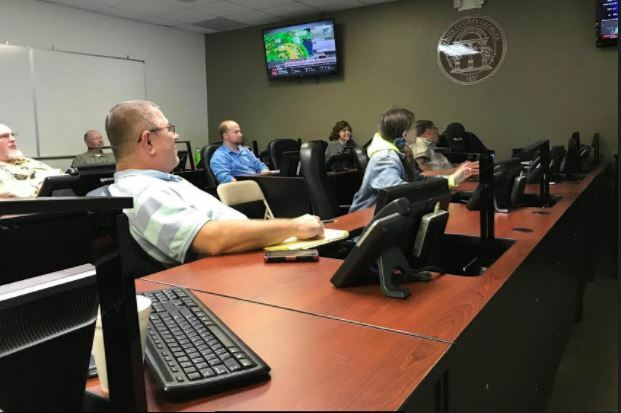 The track of the storm shifted farther west Saturday evening but a noon briefing Sunday at the White County Emergency Operation Center indicated that the county is still very much under the gun and could receive up to seven inches of rain, sustained winds of 50 miles per hour and gusts up to 70 mph when tropical storm conditions begin arriving early Monday morning. White County School Superintendent Jeff Wilson attended the meeting Sunday and, following a discussion with school superintendents from surrounding counties, announced that all White County public schools will be closed on Monday. A decision about Tuesday closing will be made early Monday morning. Other area school closings include Lumpkin County, Habersham County, the University of North Georgia, Truett McConnell University and Piedmont College.